A Servidão Moderna de Jean-François Brient é um livro e um documentário de 52 minutos produzidos de maneira completamente independente; o livro (e o DVD contido) é distribuído gratuitamente em certos lugares alternativos na França e na América latina. 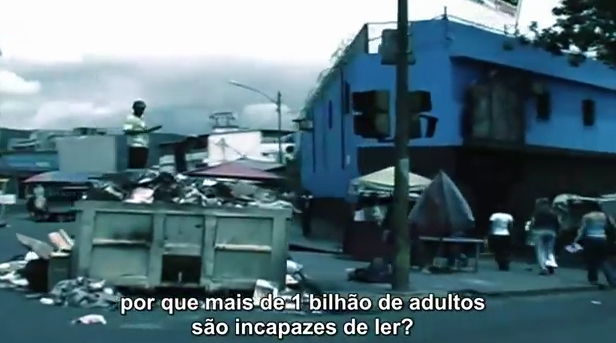 O texto foi escrito na Jamaica em outubro de 2007 e o documentário foi finalizado na Colômbia em maio de 2009. Ele existe nas versões francesa, inglesa e espanhola. O filme foi elaborado a partir de imagens desviadas, essencialmente oriundas de filmes de ficção e de documentários. Veduca – O propósito do site é democratizar a educação de alta qualidade no Brasil. Distribuir o conhecimento dos melhores professores e universidades do mundo – de graça, para todos. Dar acesso ao conhecimento, a qualquer pessoa interessada em melhorar sua vida. Simples assim. O filme explica os direitos humanos através da sua dramática história, desenvolvimento e uso atual. O termo “direitos humanos” é familiar a quase qualquer pessoa, mas a importância dos direitos humanos frequentemente não é compreendida na sua totalidade. A História dos Direitos Humanos é a história dos direitos humanos que culmina numa única carta que os contém a todos: a Declaração Universal dos Direitos do Homem. Mas com a terrível realidade de abusos dos direitos humanos amplamente cometidos atualmente, o filme conta onde é que os direitos humanos devem começar para produzir uma mudança decisiva no vasto mundo. Banqueiro comenta seu pontos de vista sobre o direito da elite de controlar a vida de todos. Vídeo em Inglês. Texto do vídeo está em inglês abaixo. Hello, my name is Montague William 3rd and what I will tell you may well sound absurd, but the less who believe it the better for me. For you see I’m in Banking and big industry. For many a year we have controlled your lives. While you all just struggle and suffer in strife, we created the things that you don’t really need. Your sports cars and Fashions and Plasma TV’s. I remember it clearly how all this begun. Family secrets from Father to Son, inherited knowledge that gives me the edge, while you peasants, people lie sleeping at night in your beds. We control the money that controls your lives. Whilst you worship false idols and wouldn’t think twice of selling your souls for a place in the sun. These things that won’t matter when your time is done, but as long as they’re there to control the masses I just sit back and consider my assets, safe in the knowledge that I have it all, while you common people are losing your jobs. You see I just hold you in utter contempt, but the smile on my face well it makes me exempt for I have the weapon of global TV which gives us connection and invites empathy. You would really believe that we look out for you, while we Bankers and Brokers are only a few, but if you saw that then you’d take back the power. Hence daily terrors to make you all cower. The Panics the crashes the wars and the illness that keep you from finding your Spiritual Wholeness. We rig the game and we buy out both sides to keep you enslaved in your pitiful lives. So go out and work as your body clock fades and when it’s all over a few years from the grave you’ll look back on all this and just then you’ll see that your life was nothing, a mere fantasy. There are very few things that we don’t now control. To have Lawyers and Police Force was always a goal. Doing our bidding as you march on the street but they never realise they’re only just sheep, for real power resides in the hands of a few. You voted for parties what more could you do? But what you don’t know is they’re one and the same. Old Gordon has passed good old David the reigns and you’ll follow the leader who was put there by you, but your blood it runs red while our blood runs blue, but you simply don’t see its all part of the game. Another distraction like money and fame. Get ready for wars in the name of the free Vaccinations for illness that will never be, the assault on your children’s impressionable minds and a micro chipped world, you’ll put up no fight. Information suppression will keep you in toe. Depopulation of peasants was always our goal, but eugenics was not what we hoped it would be. Oh yes it was us that funded Nazis! But as long as we own all the media too, what’s really happening does not concern you, so just go on watching your plasma TV and the world will be run by the ones you can’t see. Craig-James Moncur is an Edinburgh based Actor/Producer. Best known for his role as “Harry Hastings” in BAFTA Winning CBBC Series Jeopardy, as well as roles in Monarch of the Glen, Inspector Rebus and How Not to Live Your Life. Founder of 33rd Degree Films (2011). Recent productions include “The Banker” which has recevied viral status and over 200,000 YouTube views and premiered at the 2011 Myrtle Beach International Film Festival. Producer of “Choices” a film for the British criminal justice system and premiered at the 2011 Edinburgh International Film Festival. 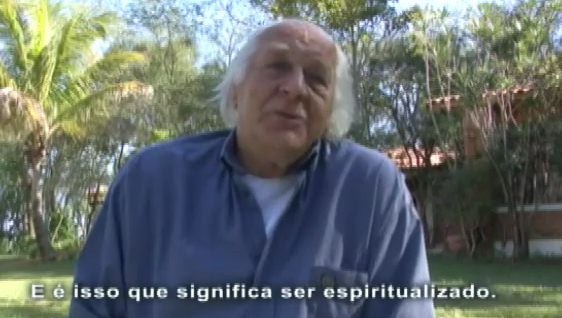 Robert Happé fala sobre espiritualidade, como equilibrar as polaridades, e sobre a energia de aquário ultrapassar a era de 2012.